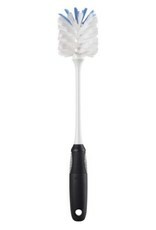 The OXO Good Grips Bottle Brush features a bristle head designed for gentle cleaning and serious scrubbing. The long, durable neck easily reaches inside bottles, pitchers and carafes. 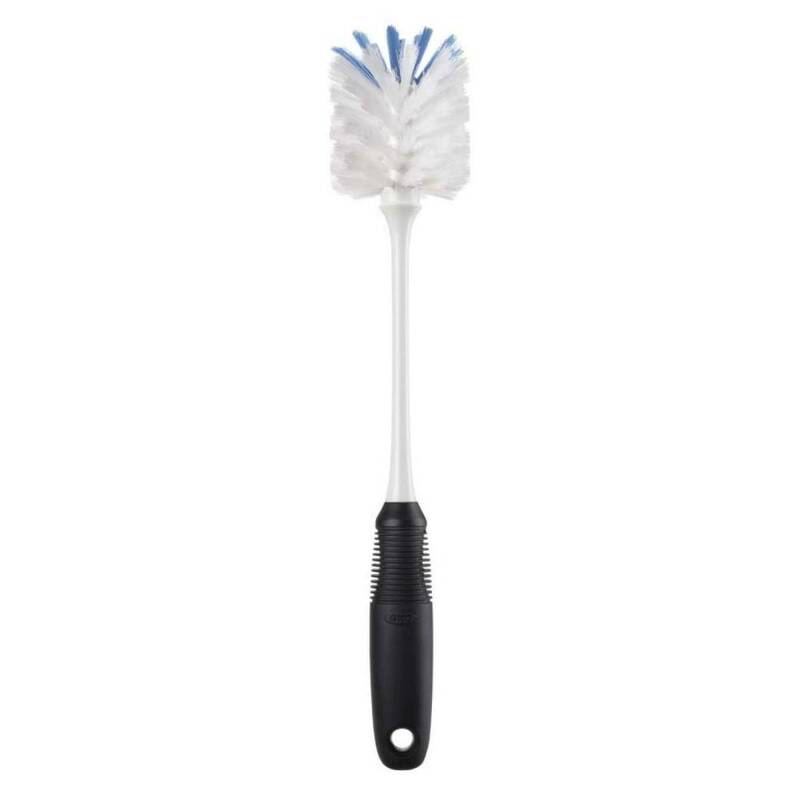 The Bottle Brush has a soft, non-slip grip, even when wet. Our Bottle Brush is safe for stemware, baby bottles and other delicate containers.